Efforts are under way across 21 American states to trace 240 horses caught up in an alert over the disease equine infectious anemia (EIA). Authorities say investigations show that 240 horses had been on a Colorado property at the same time as a horse which has tested positive for the infectious viral disease. The horse considered the index case first tested positive for the disease in late August. EIA is spread by bloodsucking insects, inappropriate use of needles, or other equipment used between susceptible equines. 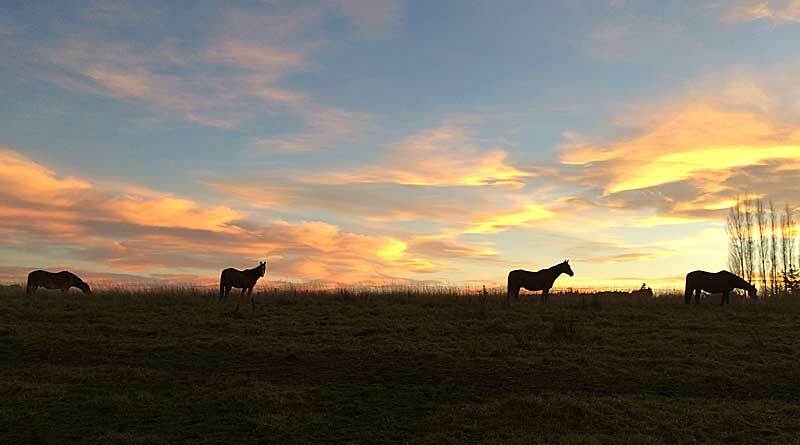 The State Veterinarian’s Office, with the help of records from the Colorado Department of Agriculture’s Brands Division and Rocky Mountain Regional Animal Health Laboratory, has since confirmed the presence of the 240 horses on the Weld county property at the relevant time, 100 of which were shipped to 20 other states. Steps are being taken to locate, quarantine, and re-test those out-of-state horses. So far, no other horses have tested positive for the disease. “We are working to locate approximately 140 horses that went to different premises across Colorado,” State Veterinarian Dr Keith Roehr said. Thirty-seven exposed horses have been located in Colorado to date. “We are asking horse owners to contact us if they purchased horses in Weld County between July 18 to August 20, 2018. The property in Weld County is under a quarantine order. Two associated premises also have hold orders in place. Fifteen premises across Colorado now have hold orders as a result of investigations to date. They are in nine Colorado counties: Adams, Arapahoe, Crowley, Delta, Douglas, El Paso, Mesa, Montrose, and Weld. The quarantine and hold orders will remain in place until the exposed horses on the premises test negative in a further test after 60 days. This re-test date is set at 60 days from the last known date of exposure to the positive horse. A quarantine is issued to any location that housed a horse infected by the disease. A hold order is issued when horses had contact with an infected horse but have not tested positive for EIA and are being held for re-testing. Both quarantine and hold orders include movement restrictions. The Colorado Department of Agriculture says it is actively monitoring and working to ensure compliance with the quarantine of the index premises and the hold orders issued for premises with exposed horses. The department says it does not have the legal authority to pursue civil fines against those who violate a quarantine, hold orders, or animal health requirement rules. Due to state laws and regulations, the agency says it is limited by the details that can be shared regarding individual operations under investigation, quarantine, or hold orders. EIA is a disease for which horses must be tested annually before they can be transported across state lines. The test is commonly called a Coggins Test. Horses infected with the virus may not appear to have any symptoms, although it also can cause high fever, weakness, weight loss, an enlarged spleen, anemia, weak pulse and even death. The most common route of transmission is through bloodsucking insects. There is no cure for the disease, so animals that test positive or are infected have to be quarantined for life or euthanized. Fortunately, the disease is uncommon in the United States. There have been only a small number of cases in the US, although the disease is more common in other parts of the world. ← Free online course: How prepared are you for an equine emergency? What are the states the horses were shipped to?